I don’t know about you, but I pretty much have to tease or backcomb my hair everyday, even if it’s just a little bit. Furthermore, most elaborate updos and formal styles require some backcombing to hold the hair in place. Tastefully teasing your hair takes some practice, but fortunately, there are some great tools to help you along the way. In this article, I just want to briefly touch on a couple of my favorite teasing tools. 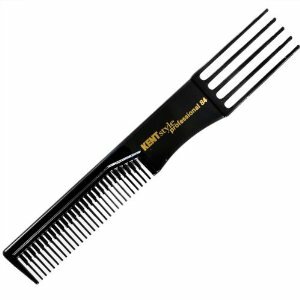 There are various differences between a teasing comb and a regular comb. First off, there are little rivets inside the bristles (or spokes.. whatever you call them). They are specifically deigned to backcomb your hair more efficiently. The bristles encourage the hair to “rat,” which is the basis of backcombing. The other great benefit of using a teasing comb is that there is a pick at the end of it, as you can see. The great thing about the pick is that you can use it to lift up the flat areas of your tease-job and smooth it out without destroying the backcombing. I bought my first teasing brush at the salon I used to work at, for somewhere around 18$. Even though it was a little pricey, it was totally worth it. I use it almost every day. However, as their population increases, their price has dropped significantly. 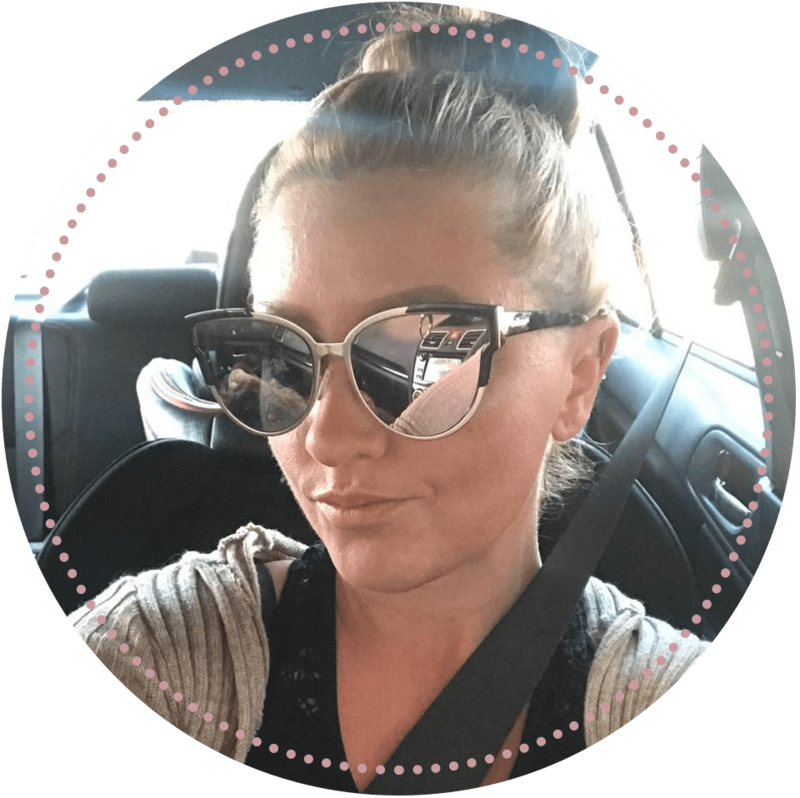 I recently bought a Paul Mitchell teasing brush for about $4 at Cosmoprof, and it is just as effective. 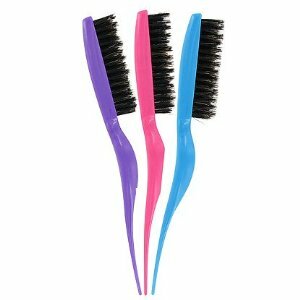 The great thing about teasing brushes is that they use a natural bristle which works wonders for teasing hair. The bristles usually vary in length, creating rivets in the overall bristle layout. Like the teasing comb’s rivets, this encourages the hair to tangle. Last but not least, these brushes usually have a pointed end that can be used like a pick, to lift the flat areas of the style. Your Turn: Have you ever tried any of these teasing tools? What did you think? I’d love to hear all about it in the comments section below.